You are likely visiting my website because of an accident involving a car or automobile in Tuscaloosa, Alabama. My job as an Tuscaloosa auto accident lawyer is to handle the details of dealing with insurance companies, adjusters, personal injury and property damage claims, litigation and obtaining the legal compensation you rightfully deserve. Attorney Reginald Smith has taken on the insurance companies over 1,000 times in over 30 years of practice. I NEVER charge a fee for an injury claim unless a cash settlement is made for you. The initial consultation is free. My clients’ legal fee is 100% contingent upon my clients’ winning a financial recovery from the at-fault party’s auto insurance company. I make sure you receive the financial compensation you deserve when you have sustained personal injury or property damages arising from a rear end collision, or in any type of Tuscaloosa car accident. Though most car accidents are just minor fender benders, many rear end collisions in Alabama will have a long term health impact to your neck and spine due to a whip lash injury caused from being hit from behind by the colliding vehicle. 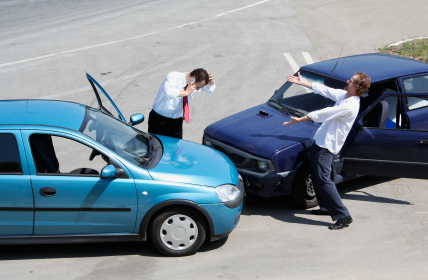 You need an experienced auto accident lawyer to make sure you get all the long term health care you need by obtaining the legal financial compensation to which you are entitled. Steps you should take if you have been involved in a Alabama auto accident to protect your legal rights.